Note: All mattresses selected for this page are queen size and priced under $1,000 (as of January 4th, 2019). Smaller beds (like a twin size) will be priced lower than the queen size listed. And bigger beds (like a king) will be priced higher than the queen, and therefore, might be above the $1,000 price point. Do you think of purchasing a new mattress, but the thought of its price scares you right off the bat? If that's the case, rest assured that you're not the only one. Regardless of what you may have heard or read, though, there is no need to spend a few thousand dollars on a brand new mattress. There are comfortable and reliable options within the $1000 budget that you can easily take advantage of. What to Expect at $1000 Range? With the advancement of internet and its overall involvement in our lives, there are a lot more budget friendly options available to us than ever before. With this in mind, you can get some truly high-end mattresses within the $1000 price range – something which was not as easy before. The most challenging thing, however, is to take your pick. The truth is that there are so many different manufacturers offering solutions at the $800-$1000 price range that people often find themselves overwhelmed and incapable of making the right call. Hopefully, the following will help you out. Priced less than nearly every option in this guide, Nectar offers savings and quality features, earning its designation as an Exceptional Value mattress. It has a medium firmness that works best for the majority of sleeping positions. One of its major highlights is that its memory layers put nights of uncomfortable pressure in the past without the suffocating effect of traditional materials. Nectar is comfortable at the first touch of the Tencel and long staple cotton cover that wicks away heat. The cover is quilted with a cooling gel memory foam, followed by another layer of thick gel memory foam, an Adaptive Hi Core Memory Foam, and breathable base. The materials work together to create a seamless experience. What’s our favorite part? Nectar is both a good value and a low-risk investment. The company gives sleepers 365 nights to test out their bed with hassle-free returns and free shipping. For more information, jump to our detailed review here. 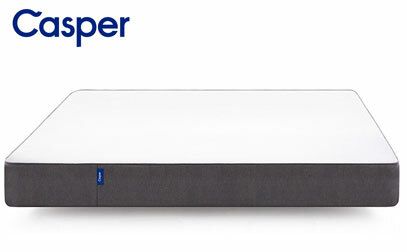 Casper has turned its attention to sleep ergonomics. Their wildly popular original model has been updated by their in-house R&D team to include a layer with Zoned Support™, which excels in spine alignment. What makes it unique? Casper’s Zoned Support™ pays close attention to ergonomics and caring for the whole body, head to toe. It does a great job of keeping the spine aligned by providing more support where it is needed and a softer experience surrounding pressure points. The Zoned Support™ layer is firmer in the hip region, which is the heaviest part of the body. This helps keep the hips from dipping too far into the bed and bowing the spine uncomfortably. Oppositely, the shoulders have a softer foam in this layer, so they can sink into the bed slightly, relieving pressure and promoting alignment. 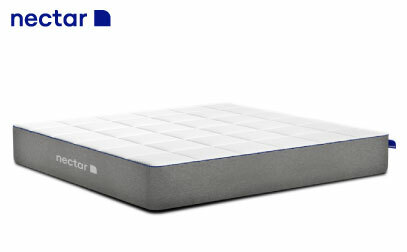 The Casper has an enjoyable medium firmness with comfort layers made out of four foams, including a layer of memory foam. Its base is made out of a durable, supportive foam. From pressure relief to support, this brand has elevated their original design. For a complete bed analysis, see our full review here. 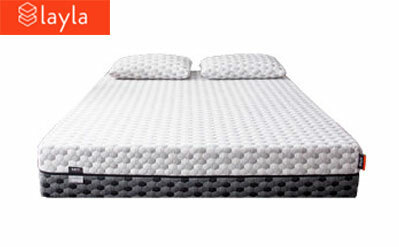 Layla is an amazing value because it has two firmness levels in one bed. Its Firm side is good for stomach sleepers and those who enjoy a firmer feel, while its Soft side has significant pressure relieving capabilities. 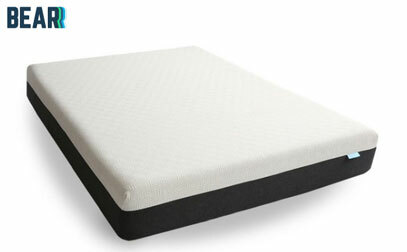 Overall, the Soft side is a good fit for those who enjoy the feel of a classic memory foam bed. What makes it special? Layla’s comfort layer supplies top-notch pressure relief (especially good for side sleepers) with a three-inch memory foam layer infused with copper. Copper is a superb conductor of heat, which will keep sleepers cool, and it has antimicrobial properties. The use of copper may carry additional health benefits, although we suggest that you do more research regarding this aspect of Layla. Layla has truly taken a good night’s sleep a step further to ensure all-night comfort and pressure relief. The cooling features of the copper complement the cover, which is designed with ThermoGel® for even more cooling. Also of note is the product’s incredibly low motion transfer, meaning light sleepers can finally sleep through the night undisturbed. To learn more about Layla, see our in-depth overview. Purple’s original model has an innovative design created by brothers who previously worked in the fields of aerospace and manufacturing. They developed a completely new material called Hyper-Elastic Polymer™ for the top comfort layer of the bed, which they formed into cell-like structures with completely unique capabilities. What makes it unique? Purple’s polymer and foam design is the first of its kind in the bed-in-a-box market. 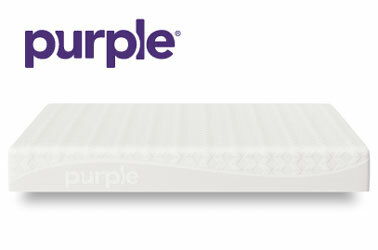 Unlike traditional foam layers that have a hard time balancing support and pressure relief, Purple’s design allows polymer cells to provide support or relief depending on the position of the sleeper. This is achieved through the cells’ ability to buckle when weight is evenly dispersed or bend when coming into contact with pressure points. The Hyper-Elastic Polymer™ does not retain heat like traditional foams. Instead, it stays temperature neutral and is a fantastic option for people prone to overheating. Still not sure? Check out our Full Purple review. 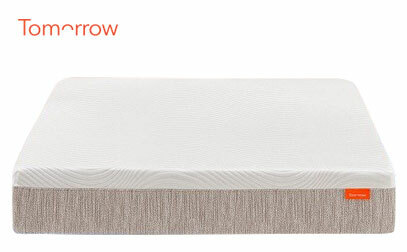 Tomorrow Sleep is this list’s hybrid pick, meaning it incorporates foams and coils for a comfortable and supportive feel. It has a few more bells and whistles than comparable models, which helps it stand out. The bed is available in Medium Soft and Medium Firm, so whether you need pressure relief or like a firmer feel, they have an option for each preference. There is a firm foam around the edges that provides amazing edge support, with custom openings that allow ventilation from the coil layer, which is naturally conducive to airflow. The bed includes phase change technology, which is a material that is cool to the touch. While some memory foams can get uncomfortably warm, Tomorrow Sleep has found a way to include it while keeping temperature regulated. What stands out? Tomorrow Sleep is a hybrid option with good cooling and surprisingly high motion isolation for a bed with springs. Its firm edge support makes it a great option for couples who need to use the entire surface area of the bed or individuals who like to sleep along the side. Tomorrow Sleep ships conveniently to your home compressed in a box and the company offers optional White Glove Delivery for an additional cost. Need more info? Check out our complete review here. Helix fine-tunes the sleeping experience by customizing it to your individual needs and preferences. The company reports that a significant amount of people slept better when upgrading their old beds to the hybrid design of a Helix. By filling out a quick Sleep Quiz, you will receive a custom bed the company selected for your individual needs – all for under $1,000. What makes it special? The extent of Helix’s customization capabilities is nothing short of impressive. In addition, the company has gone one step further to consider the needs of couples by providing dual comfort or selected comfort based on two people's needs, meaning that partners can have individually-tailored materials on each side or a cohesive design that is a happy medium for both parties. Mattresses are built using a combination of pocketed coils and foams with varying densities and orders, with a high-grade poly foam base across all designs. 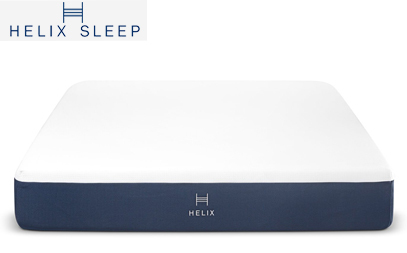 Whether you sleep hot or cold, desire a specific firmness, Helix will use the results of your Sleep Quiz to select a mattress made just for you. Want to see in-depth details and construction? Visit our complete bed analysis here. For people involved in sports, physical activities, or who value performance, Bear has a brand that aligns with your priorities. Well-suited for most sleepers and designed with special materials that cater to those who are active, it is an attractive option that delivers comfort and potential big gains. What makes it unique? Bear may provide natural, noticeable performance enhancement to athletic types – all while sleeping. Its cover contains special Celliant® fibers that Bear claims enhance sleep, help with recovery, boosts tissue oxygen levels, and more. Although we cannot personally back performance and recovery claims, we highly recommend that you look into Bear’s research and testing if you are eager to step up your athleticism. In addition to the Celliant® cover, there is a graphite-infused memory foam layer to help with cooling and responsive foams over a dense base. If you are interested in this model, see our complete analysis of the details. Ultimate Dreams Supreme 12” Gel is the most economical option in this guide. Manufactured by Dreamfoam, a family-owned company, this bed uses solid materials and is sold at a budget-friendly price point because the family controls all aspects of production. They own their factory, which is not something every company can say. The mattress’ two-toned design and stretch cotton knit surrounds four total inches of memory foam and a thick polyurethane base. The top inch and a half of memory foam that is closest to the body is infused with gel, a useful feature to prevent heat from becoming trapped. Traditional materials often struggle with this, which is why the gel is an effective addition. What stands out? Even though all of the mattresses on this list are less than $1,000 for a Queen size, Ultimate Dreams Supreme 12” Gel is nearly half that amount, in addition to being the least expensive on this list! It has quality construction and materials from a trusted brand. 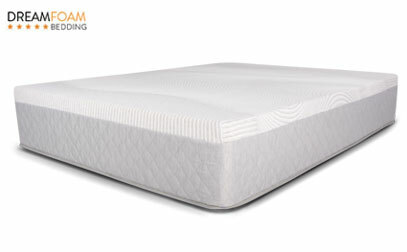 Wrapped in a generous 120-night trial, with features such as high motion isolation, cooling capabilities, and a medium firmness that accommodates most sleepers, this Dreamfoam bed performs better than some other more expensive brands on the market. If you want to see more features and in-depth analysis, check out full review for more info. As you can see from the above, there is absolutely no need for you to spend $5,000 to get a truly amazing mattress. Support, reliability, and comfort can easily be achieved for a lot less than that. A high-quality mattress under $1000 is not that hard to find and, obviously, their characteristics and added benefits are to be seriously considered. For a bed under $1000, you can expect high-quality and high count of springs, should you decide to go for a mattress with an innerspring construction. If you want to opt for a memory foam, you would be able to find a solution providing several layers of high-end foam to enhance the support. The latter will usually vary within the range of soft, medium or firm, which covers the vast majority of options and popular demand. For this budget, you can also expect to get premium stitching, guaranteed to last for a long time as well as a comprehensive and reasonable warranty that you'd be truly able to take advantage of if you need to. All in all, there isn't that much of a difference between a $1,000 and a $5,000 bed when it comes to fulfilling needs. Sometimes, it comes down to the actual manufacturer and the mark-ups. That's why it might not even be worthwhile for you to overspend on a mattress as the value that you'd receive could ultimately be the same. One of the main differentiations is the lifetime warranty offered by the majority of extremely expensive and premium products. 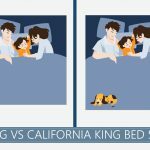 However, not all mattresses will last or be used for a lifetime and warranties tends to only be good against manufacturer defects and not regular wear and tear. Innerspring solutions within the $1,000 range are generally going to be rather good. The materials they are made out of, however, are likely to vary to a certain extent. What is more, more expensive solutions also tend to use the same steel from which swords are made of. While this will make them more reliable and durable, whether or not they are worth the additional money is a matter of personal values. There are two primary types of innerspring setups that you will be able to choose between. Within the given price range, you could take advantage of either one. Linked/connected coils are the solution that you've probably grown up with. These are the kind which are not going to absorb any motion at all, making the entire bed bounce up and down when someone moves around it. While it might provide the ultimate jumping grounds for your kid, it may not always provide premium comfort levels. On the other hand, there is an innerspring construction with individually wrapped coils that is often seen as superior to the connected type. These are wrapped in some sort of cloth and they are conveniently lined within the bed. In certain situations, they might be filled with foam or with some other types of materials for added comfort. At the given price range, rest assured that you're conveniently set for pretty much anything available on the market for this type. The quality of your memory foam mattress is highly likely to be top notch, making the bed feel incredibly comfortable and providing you with serious longevity at the same time. When it comes to the density as well as the durability of the foam, these are characteristics which will determine the comfort and support brought by the mattress. The higher the density is, the more reliable the product should be. The general rule of thumb for a premium solution would be about 4 lbs. per cubic foot of density concentrated in the comfort layer of the mattress. At $1,000 price tag, you could get even better. The thickness could range between 10 and 15 inches, but some products have slightly less and are still high quality. This is a broad spectrum that is capable of accommodating the vast majority of sleeping preferences and positions. We seriously suggest paying latex mattresses the necessary attention, as this is a great alternative to the most traditional memory foam options for a range of different options. The most considerable differentiation hides behind the fact that latex, at least the majority of it, is a natural material. This makes it a renewable resource unlike the chemical solutions used to create memory foam, and therefore preferable to many. There are two types of latex available at this price point, both of which are geared towards bringing a different result. Dunlop latex is very elastic and dense. It's also typically a lot more affordable in comparison to the other option. It's not always as soft, and can be rather firm, which makes it a great option for overweight people. The alternative is called Talalay latex, and it's the more premium of both solutions. Unlike the previous method, this one takes advantage of hot rods which are placed conveniently into the foam, making it a lot lighter and softer in terms of appeal and sensation. There are different types of hybrid solutions available at the $1,000 price range. You can combine innerspring with memory foam and latex for a firmer, less bouncy, and reliable sensation. This is possible in large thanks to the contemporary individually wrapped coil system of modern innerspring solutions. On the other hand, if you want to diminish the cradling effect of memory foam, you can opt for a hybrid with latex that offers higher bounce and enhanced movability. Obviously, there are quite a few things that you ought to account for when picking your mattress. The good news is that $1,000 or less than that is a perfectly good budget to find a premium and high-end solution for your bed. Anything more than that is most commonly just a matter of higher markups, brand reputation, organics, and enhanced warranty (we've explained a lot of the factors in our full mattress buyer's guide). The latter, as we've already determined, is typically for manufacturer defects. So, you needn't worry about spending a small fortune on your mattress as there are more effective, comfortable, and incredibly supportive solutions for a fraction of the cost. See more top mattresses here.